Some people call it VoIP, Voice Over Internet Protocol or a broadband phone service. They’re all different ways of describing the latest technology that allows you to save on your phone bill. You make and receive phone calls just like you did before, using a regular phone but instead your calls will be delivered over a regular phone line they travel over your high speed internet connection. COMTEL is the accredited partner of engin, Australia’s largest provider, now delivering more than 70,000 services to Australians and as the word spreads on how much you can save, that number is growing all the time. Do you use more than one phone line? Have staff at another location? Want to have a local number in other states? Then a business pack plan is for you! Starting from just 1 line on the engin Business Starter Pack, to as many lines or locations as your business requires on the engin Business Pack Platinum. 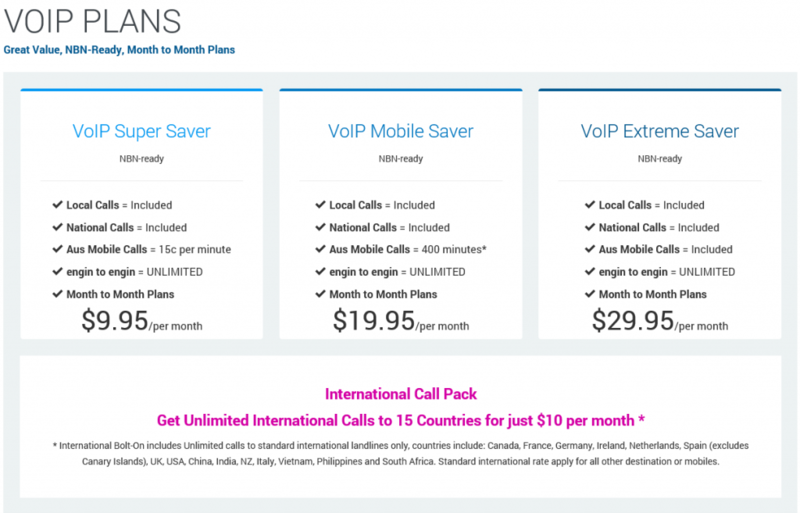 As an added bonus with our Business Packs, youâ€™ll also get discounts on your already cheap calls. Please contact COMTEL to order Business Packs according to your company needs. SIP Trunking is a cost effective Business grade VoIP service, which is an alternate solution to traditional ISDN with an Onramp service. It can provide your business with a low cost phone service allowing for every staff member in your office to have a direct in dial (DID) and no expensive line rental costs. Maximise the value in your Phone system (IP-PBX) with engin SIP Trunking. Utilise the world leading VoIP network to slash your line rentals and call costs, whilst enhancing the features your business enjoys. A direct phone number for every staff member without the need to pay a line rental on every phone. Blocks of 10 numbers from only $3.50 per month. Extension dialling to quickly communicate with each other. Line rentals starts from just $30 for 4 lines (4 concurrent calls). Add additional lines in single increments from just $7.50 each. All local and National calls are just 10c untimed â€“ including GST! Calls to mobiles for just 17c/min (inc GST) -No Flagfalls or connection charges! Transfer your existing phone number(s) to engin SIP Trunking services. * Billed for first minute, then per second thereafter. IP-PBX Dependent Service / ISDN Replacement with In-Dialmapping. Your IP-PBX needs to have the ability to read the ‘to’ field in the SIP header. SIP Trunk Corporate – Min Spend $1k at engin rates. ^ Does not apply to engin mobile calls. # Calls to international landlines only to the following countries USA, Canada, UK, France, Germany, Spain (excluding Canary Islands) Netherlands & Ireland. Please contact COMTEL or refer to www.engin.com.au for full terms and conditions. All you need is an Internet connection with minimum speed ADSL2+ or higher, as well as VoIP enabled equipment. We can have your engin SIP Trunking service active within 24-48 hours once your order is processed. The NBN is currently being rolled out across Australia and engin is excited to offer access to this revolutionary new technology. Super fast Fibre Optic Broadband is now available to businesses in some areas. It offers super fast download and upload speeds of up to 100Mbps by 40Mbps. Making it ideal for Voice and Data solutions. Only your downloads are counted towards your data quota. No excess download charges. NBN Lite and Standard are shaped at 64kbps. NBN Ultra is shaped at 125kbps. You may upgrade your plan at anytime during the month. Downgrades may incur a penalty.